Special thanks to Darold Wold for his work organizing Zion’s history. Zion’s history reaches back to 1903 when one of the Synods great leaders in foreign missions began a personal program of home missions in Hopkins. The Reverend Professor Arndt of Concordia College, St. Paul, began conducting services in Hopkins for a small group of Lutherans. The services were held in homes and conducted in German. 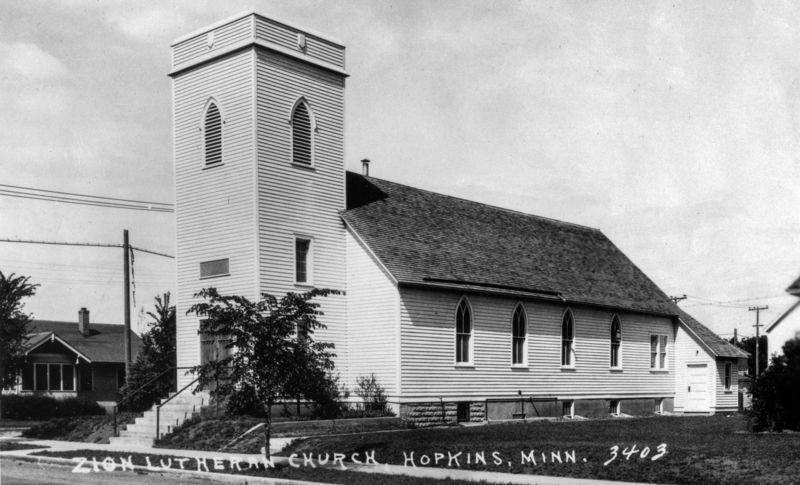 The work in Hopkins was turned over to Pastor Achenbach of Immanuel Lutheran Church of Minneapolis when Professor Arndt became his church’s first Christian missionary in China in 1912.. When Reverend E. G. Nachtsheim became pastor of Immanuel, he assumed the preaching duties in Hopkins. Under his energetic leadership the small group of Lutherans decided to organize into a congregation. 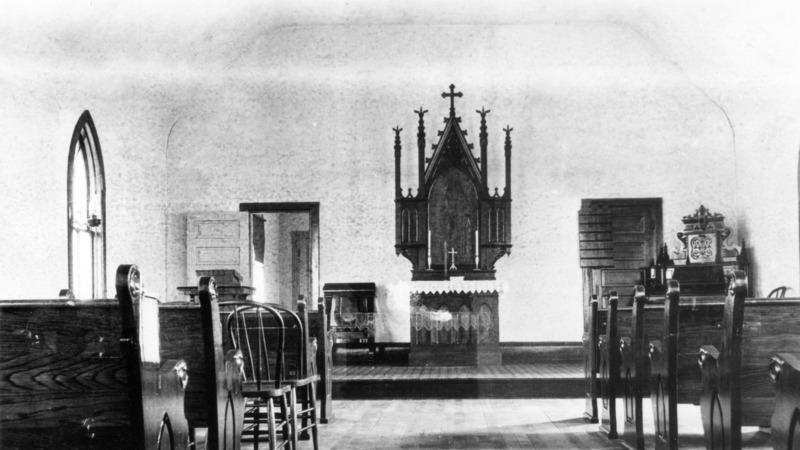 In 1914, Reverend Nachtsteim started negotiations with the Norwegian Synod for the purchase of a small church building on 12th Avenue for $600.00. It was small, meagerly furnished, lighted with kerosene lamps, without pews and basement, but the seed that was planted by this small group of Lutherans began to bear fruit.. 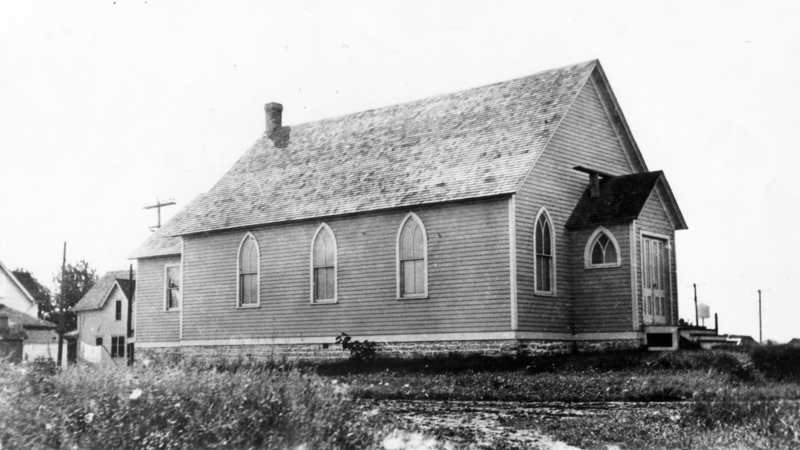 Under the leadership of Pastor Nachtsheim, and a group of seven men, the decision to form a congregation was made and Zion Evangelical Lutheran Church was formally organized on January 24, 1915. At the time of its organization in 1915, the congregation decided to call a pastor who was to serve the Hopkins parish full time. They applied to the Mission Board of the Minnesota District of the Lutheran Church – Missouri Synod, for financial assistance. The call was extended to Rev. Paul G. Walther, of Winnipeg, Canada. 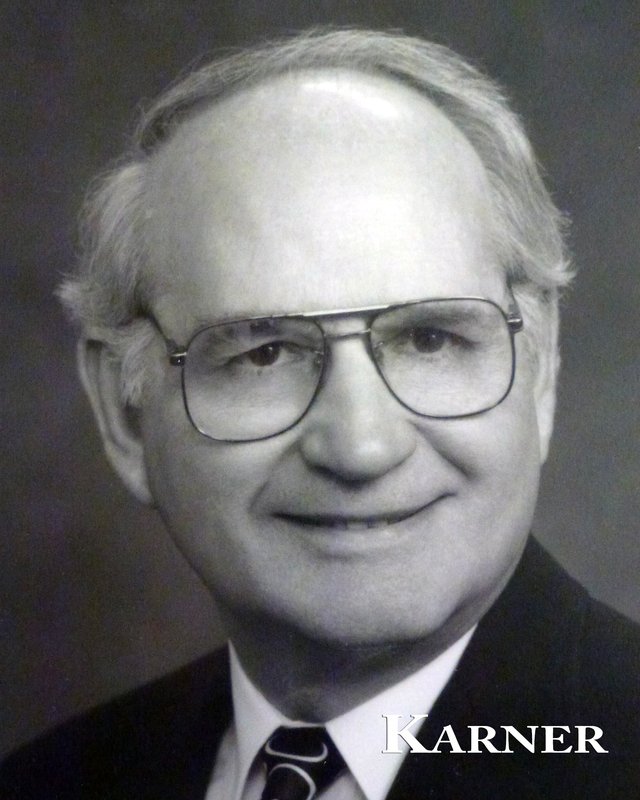 Walther was serving as superintendent of missions in Manitoba and Ontario. He accepted and became Zion’s first pastor. He was installed in the German language on August 8, 1915, by Pastor Nachtsheim. Pastor Walther concluded the purchase of the church and the dedication service was held on December 5, 1915. World War I broke out in 1917. Townspeople who referred to the new church as the German Lutheran Church were apprehensive about pro-German sentiment until they learned that the young pastor displayed an American flag on his front porch and purchased liberty bonds. Walther introduced services in English, started a Saturday school, confirmation classes, a Ladies Aide and choir. He also conducted regular services in St. Louis Park. 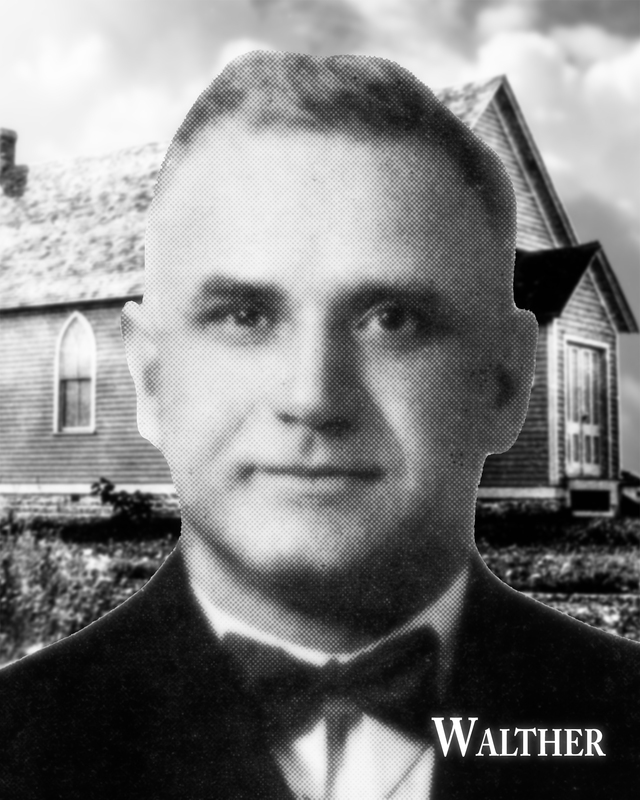 Walther served Zion until May of 1918 when he accepted a call to a parish in Vernon Center, Minnesota. Rev. Charles Hornburg accepted Zion’s call becoming Zion’s second pastor in 1918. World War I was coming to a close soon after Pastor Hornburg began his Zion ministry. Wages were low in America, leaving little money in the church treasury to pay tradesmen for any building improvements. As a result, the men of the congregation did most of the work. The Ladies Aid hosted church dinners with the receipts going for debt reduction. The women also did the church cleaning. 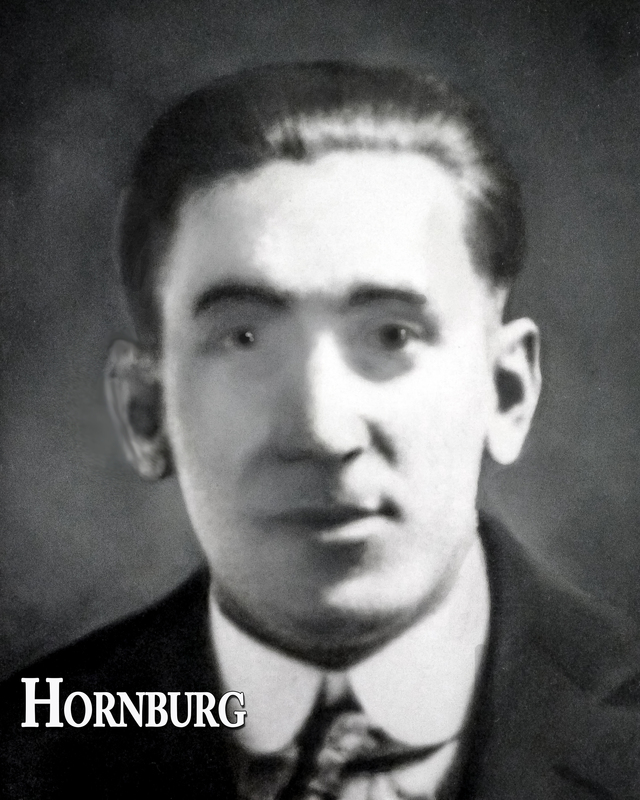 The church grew during Pastor Hornburg’s ministry to 80 members by the time he left in 1922. On a hot Sunday evening in August of 1922, Rev. Erwin Kurth was installed. There were 40 people present. Pastor Kurth’s ministry included an outreach program in which he served as Chaplain in the 600 bed Glen Lake Sanitarium, the Glen Lake Farm School and the Hennepin County Poor Farm which housed 200 residents. In 1923, Zion purchased a parsonage for $850.00, borrowed $3000 to cover the costs of moving it to a new site and to make it ready for the Kurth family to move in. On September 9, 1923, Pastor Kurth began conducting services in Excelsior. Under his guidance, the Evangelical Lutheran Church of Our Savior was organized. 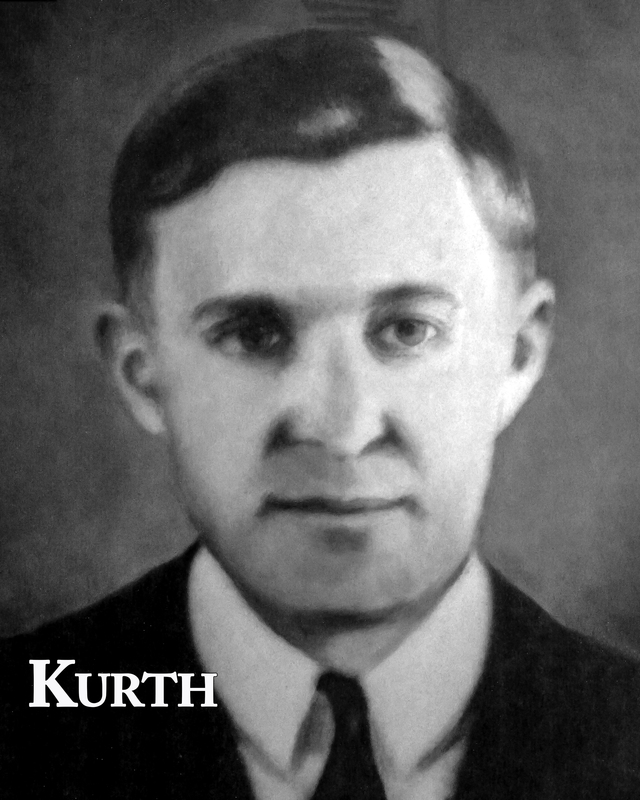 Pastor Kurth served Zion and the sister congregation until March of 1926 when he accepted a call in Brooklyn, New York. During Pastor Kurth’s ministry, Zion’s communicant membership had grown from 80 to 176. A call was extended to Rev. Carl Mundinger, Walker, Minnesota, which he accepted. He was installed in March of 1926. Six weeks after his installation, Zion began to enlarge the church. It added 32’ to its length, erected a tower, dug a basement and purchased new pews. During this time, a Men’s Club and the Senior and Junior Walther Leagues were organized. In 1935, the church was again enlarged with the addition of a beautiful sanctuary and a full excavation of the basement. 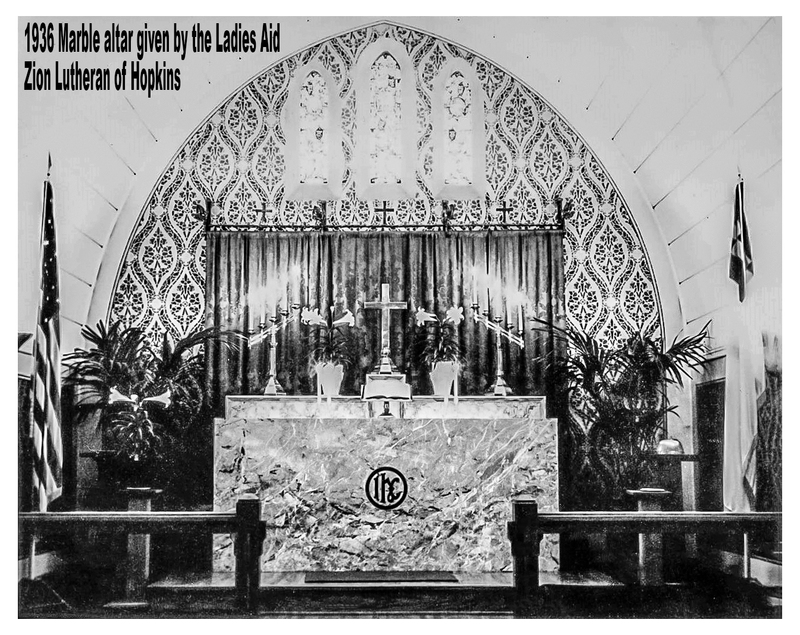 In addition, the Senior Walther League installed a Wicks Pipe organ, the Ladies Aid purchased an imported marble altar, and the Junior Walther League purchased an imported marble altar. The altar and baptismal font were transferred to the new church in 1950. The baptismal font remains in our beautiful church today. Rev. Mundinger served as chaplain at Glen Lake Sanitarium and at Our Savior’s until 1929 when they obtained their first pastor. He also conducted services at St. Louis Park. Under his leadership, St. Luke’s Lutheran was established in 1935, with 30 communicants from Zion as charter members. After 10 ½ years, Pastor Mundinger accepted as call as president of St. John’s College in Winfield, Kansas. 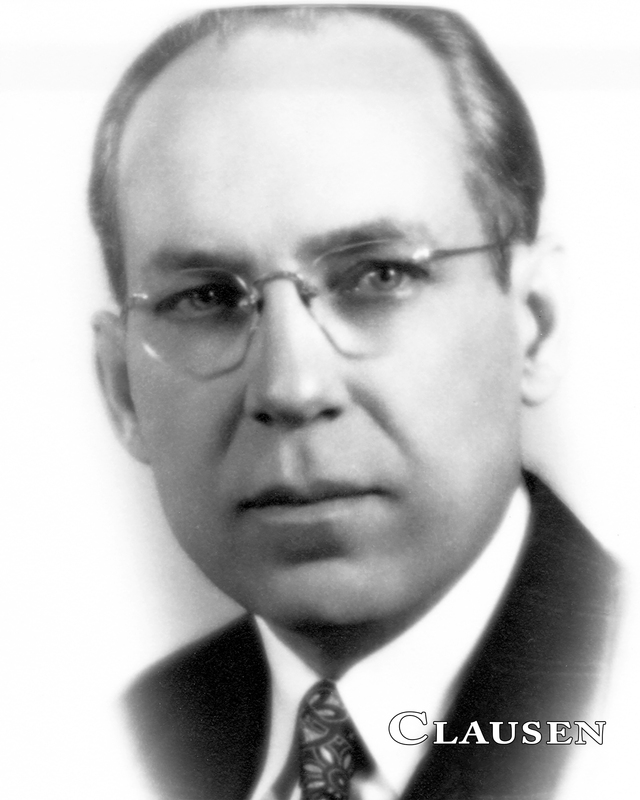 Walter P. Clausen of Cincinnati, Ohio, accepted Zion’s call and was installed the Sunday before Labor Day in 1936. His ministry found the membership growing steadily requiring improvements be made to the church and eventually making plans for a new church. In addition to his work at Zion, Pastor Clausen served as a Chaplain at Glen Lake Sanitarium for 10 years. 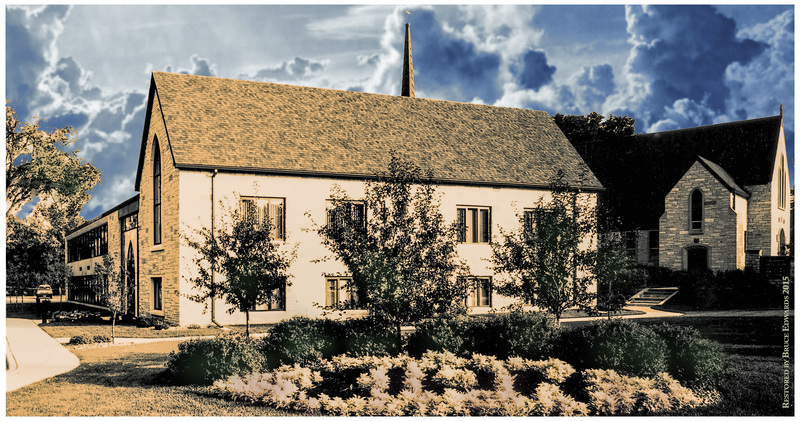 By the early forties, the population of Hopkins had tripled, Zion had 600 communicants in a church seating 225, 175 children crowded into a 46’ x 24’ Sunday School room, and five classes were held in the basement of the parsonage. This growth caused the congregation to think of erecting a new church. An intensive six month campaign was undertaken to raise $85,000 for the new church.. Members contributed to it primarily by purchasing Defense Bonds in the name of the church during World War II. A building site was purchased on 5th Avenue North and architects were hired. In the midst of this planning, Pastor Clausen accepted a call to a parish in Iowa. At the time of his leaving, Zion had 820 members and 211 children in the Sunday school. Rev. Henry Brill of Our Savior’s Lutheran Church, Windom, Minnesota, began his ministry at Zion in 1946 in the middle of planning for the building of a new church that had begun during Rev. Clausen’s ministry. Under his leadership, the planning for the new church continued. Pastor Brill began conducting services in Glen Lake, in 1945, which resulted in the organization of Bethlehem Lutheran Church with 44 communicants from Zion as charter members. 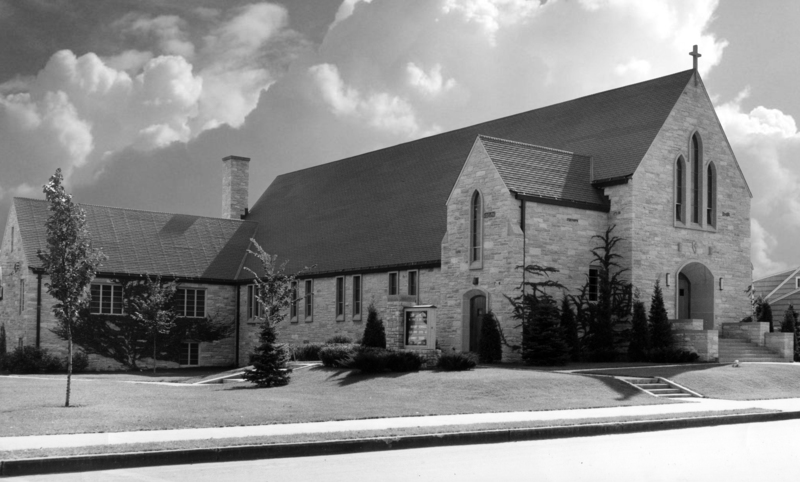 In 1955, Fairview Lutheran church was organized with 83 members of Zion as charter members. In addition, the Ladies Aide was reorganized and all of the ladies’ groups were placed under the Ladies Guild during his ministry. The original plans included seating for 470, 600 with chairs, in the nave, choir area and balcony. 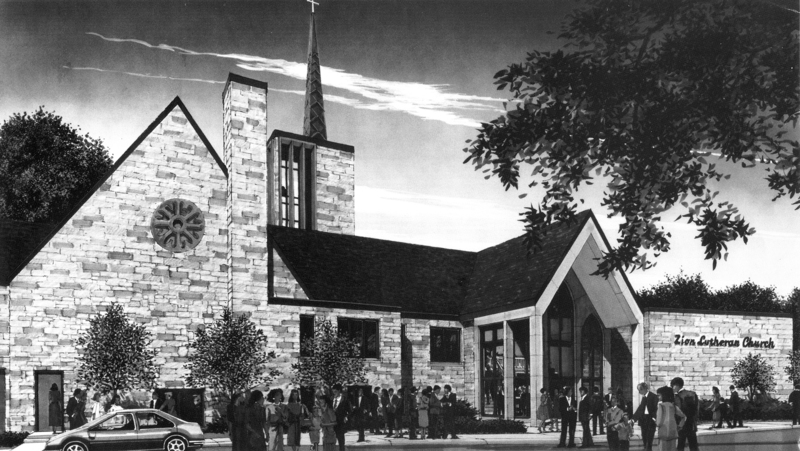 The plans also allowed for a roomy narthex which could be used for overflow crowds on special occasions and a basement to serve the needs for Christian Education and social needs. 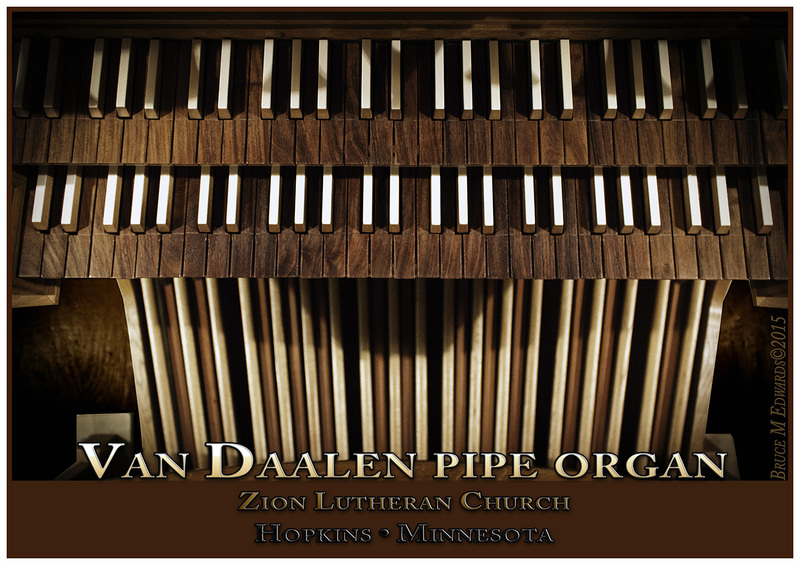 The Dedication Service for the Zion Lutheran Memorial Organ was held on January 21, 1951. The organ was designed by Paul Manz and built by the Wicks Organ Company, Highland, Illinois. Rev. Paul Walther wawals the guest preacher and Rev. Brill the Officiant. Paul Manz highlighted the service by playing a recital of twelve musical numbers. 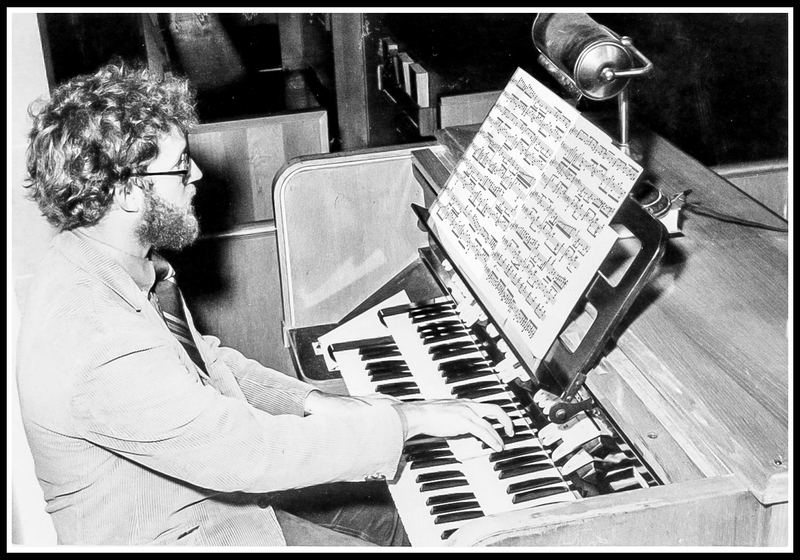 Kent Engle at the old Wicks organ circa 1970’s. The 1950’s found the population of Hopkins and suburban areas booming. 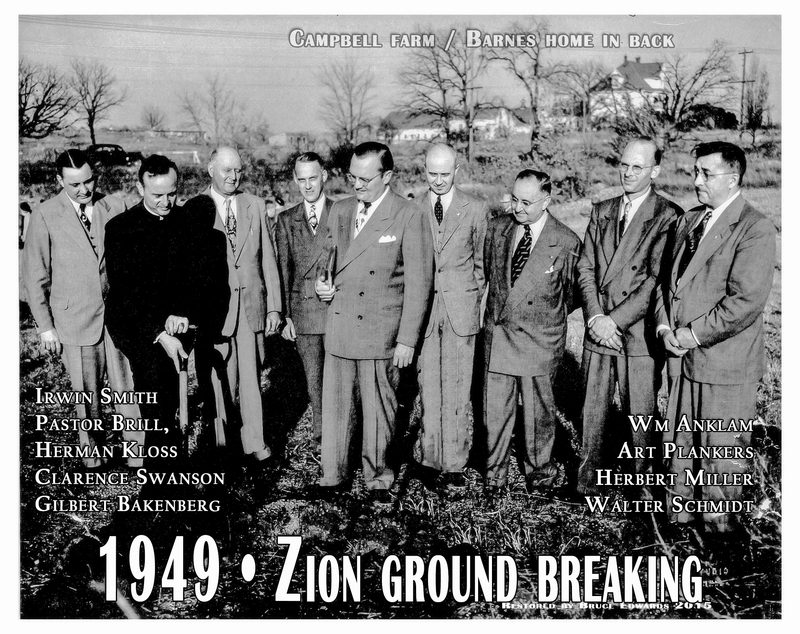 Zion had grown and numbered 1290 communicants and 1950 baptized members. Our Sunday School facilities soon proved inadequate As a temporary solution, a barracks-type building was placed to the rear of the church but soon proved to be too small. Plans were drawn for a permanent education building to house the 535 Sunday School children and the Bible classes. At this time, Zion had the largest Sunday School enrollment in the Minnesota District of the Lutheran Church – Missouri Synod. A building fund campaign netted $189,000 in pledges from members, to be paid off over a two-year period. Construction on the $190,000 project began in April of 1957. The center feature of the project was the addition of a fifty-foot tower, topped by a thirty-three foot spire which is crowned by a cross. The crown at the base of the cross signifies that Christ is our King as well as our Savior. The herringbone design employed on the spire reminds us that Christ is often symbolized by a fish. The Education Building included two large Bible class rooms divided by a folding door, 11 classrooms, a nursery, offices and lavatories. 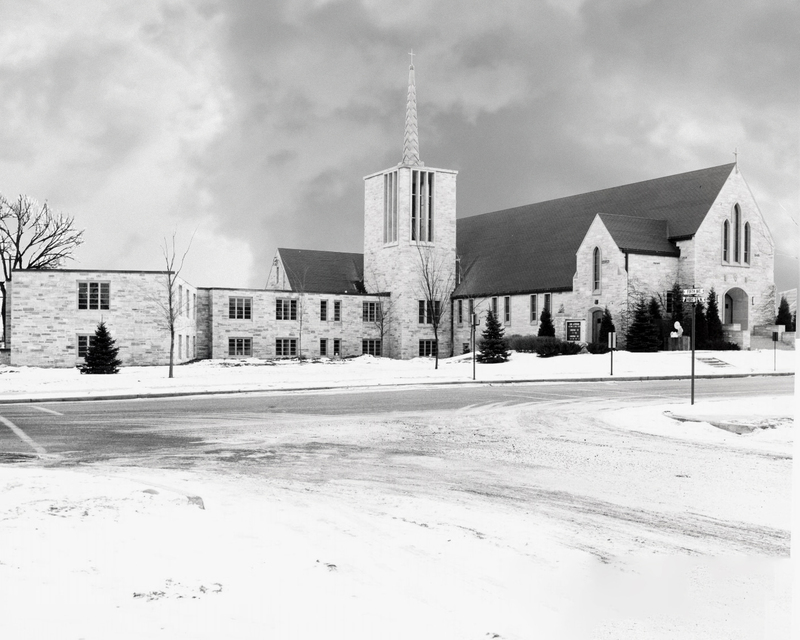 A Dedication service and open house, were held on January 5, 1958. With the tremendous growth of Zion’s membership, Rev. Joseph E. Hakes was called to serve as an Assistant Pastor. He was installed on August 2, 1959. Pastor Hakes was placed in charge of the congregation during the vacancy created when Pastor Brill, after 14 years, accepted a call to a new parish in Coronado Hills, Texas. He left behind a church membership that had grown from 820 to 2250 members and a Sunday School that had grown from 211 to 620 students, a most impressive number considering 127 members were released to become charter members at Bethlehem and Fairview Lutheran churches during his ministry. As the membership grew, there was a need for a Visitation Pastor to minister to those unable to attend regular services. Rev. William Busse, Perham, Minnesota, was called. He accepted the call and was installed as Zion’s Visitation Pastor in 1962. He served in that capacity for 10 years and retired in 1972. The original Chancel, with its wainscoted walls, and a drapery panel centered behind the altar was replaced with a dramatic mosaic wall drawing our eyes toward heaven; a Shofor candle representing the call to worship; an eternal light to remind us that Jesus is the light and the way to eternal life; an uneven brass cross with stained red glass to remind us of Jesus suffering on the cross. The long arm of the cross pointed to God’s blessings as it reached to the altar. Mosaic back wall of the chancel. 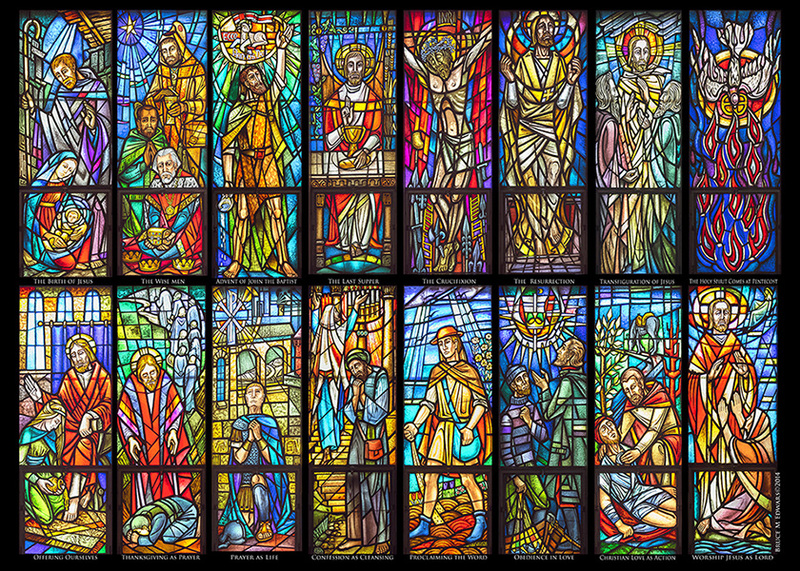 The beautiful stained glass windows installed on the north and south sides of the nave are more than decoration – they speak of the Lord who has redeemed His people and the response of His people to his redemption. Fourteen rectangular windows line the walls of the sanctuary. Each one tells a story from the New Testaament. The windows on the north side of the nave portray the historic acts whereby God revealed Himself in divine love as a God of mercy, truth and love – Advent, The Nativity, The Epiphany, The Transfiguration, The Last Supper, The Crucifixion, The Resurrection and Pentecost. 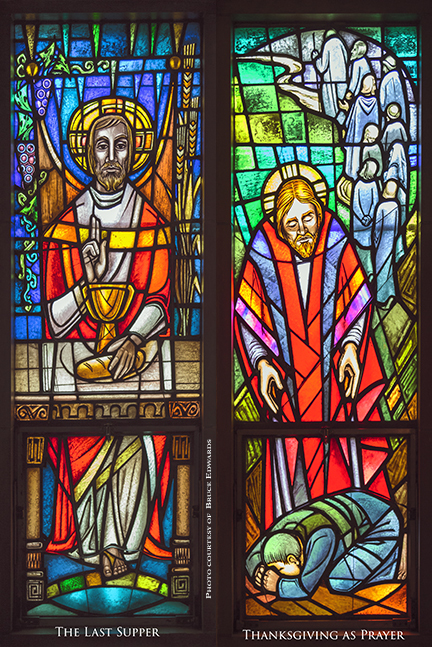 The windows on the south side of the nave depict the reaction of the Christians to this love and mercy of God – Worship, Confession, Thanksgiving, Prayer, Offering, Proclaiming the Word, Christian Love and Obedience. 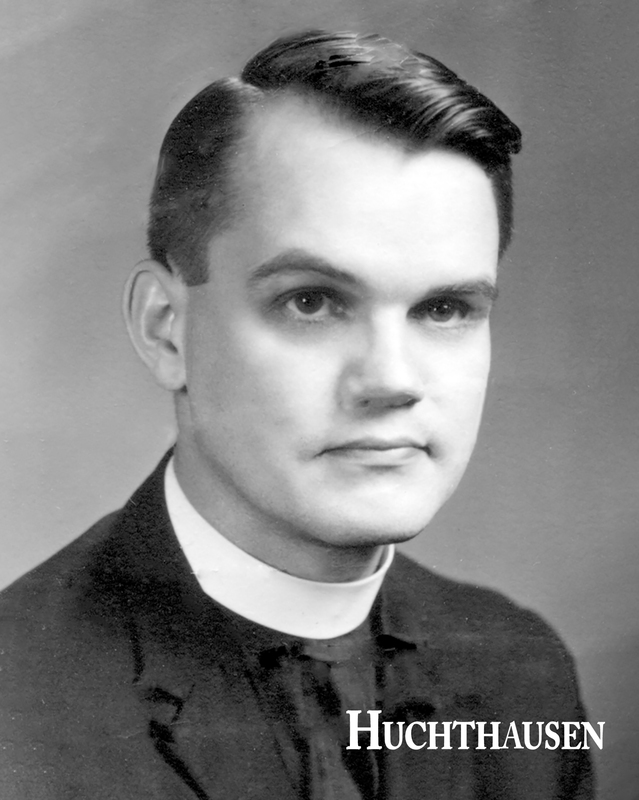 In 1969, Rev. Roy Karner, came to serve Zion during his year-long furlough from his duties as an evangelism missionary in Hong Kong. He served under the auspices of the Mission Board. During this time, Pastor Karner’s love for the Lord and the people of Zion, and our love for him, led to Zion extending a call to serve as Associate Pastor. 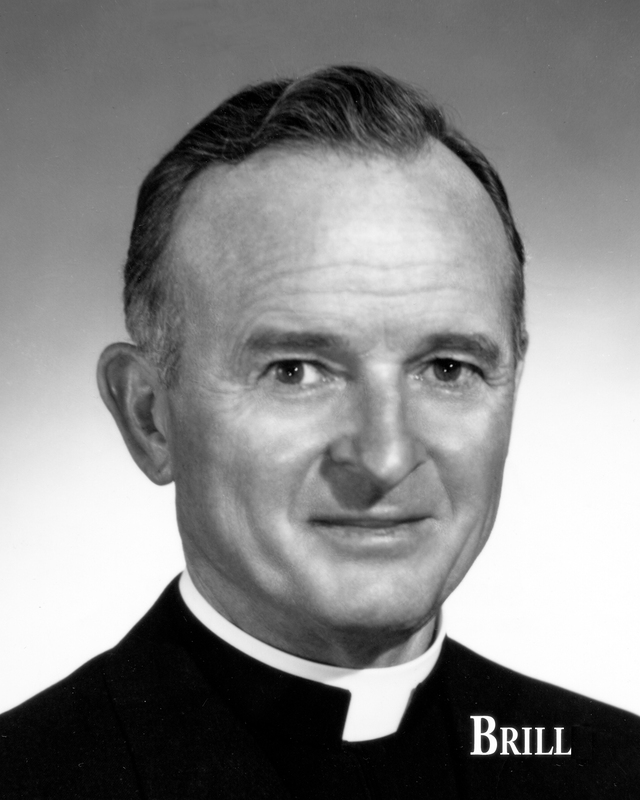 He accepted the call and was installed on May 24, 1970, by Rev. H.E. Sieving. 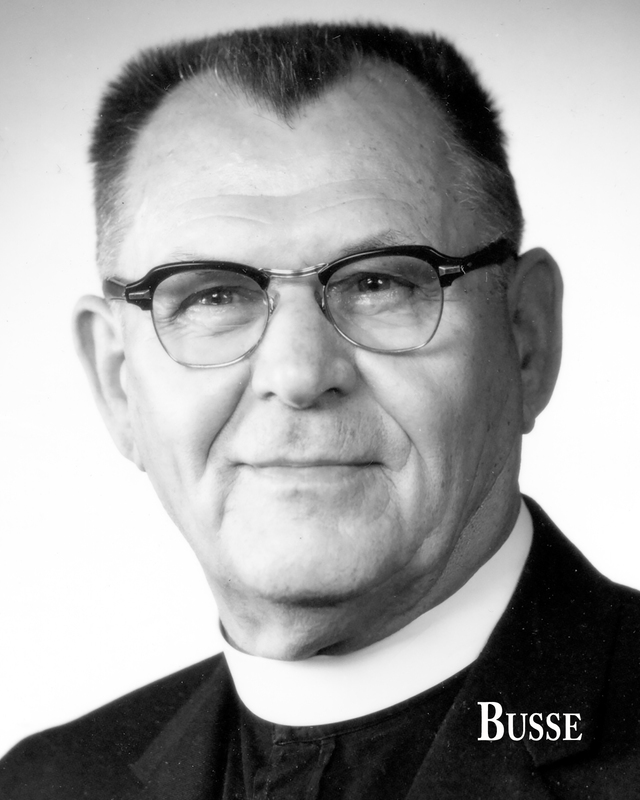 Upon the retirement of Pastor Sieving, Pastor Karner became our Senior Pastor on September 1, 1973. Pastor Karner’s evangelical missionary and ecumenical approach was soon evident, while under his leadership, Zion’s Outreach and Mission program expanded by adopting a granddaughter congregation in Hong Kong, supporting a Brazilian mission, and adopting a family from Laos. In addition, Zion became the 5th highest donating congregation for District Missions. 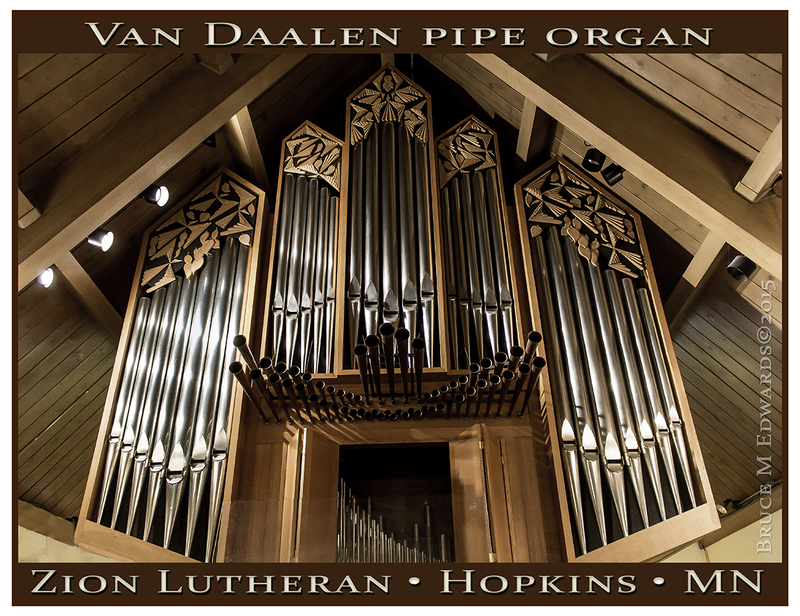 The Wicks Organ which had served Zion since January 21, 1951 was replaced by a new two-manual and pedal pipe organ built by the Van Daalen Organ Company. 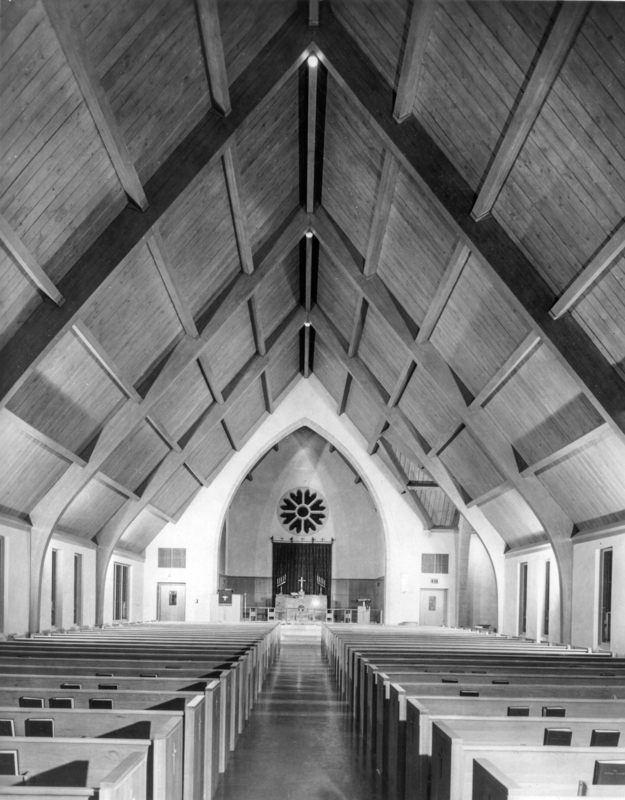 It was designed uniquely to meet Zion’s musical needs, with the church’s dimensions and acoustical properties in mind. The organ’s 1740 pipes comprise 36 ranks, controlled by 24 stops. The entire installation was the work of Jan Van Daalen. The determination to place the organ in the balcony necessitated major changes in the balcony. Increased support was needed as well as space to accommodate the organ, choir and any additional musicians. The organ and enlarged balcony cost $100,000. This organ has brought much joy and inspiration to our services these many years. In 1974, it was decided to replace the vicar position with an assistant pastor. Rev. John Huchthausen, a former Missionary to the Philippines was called to be involved in a full ministerial role, giving leadership in parish education and youth work. 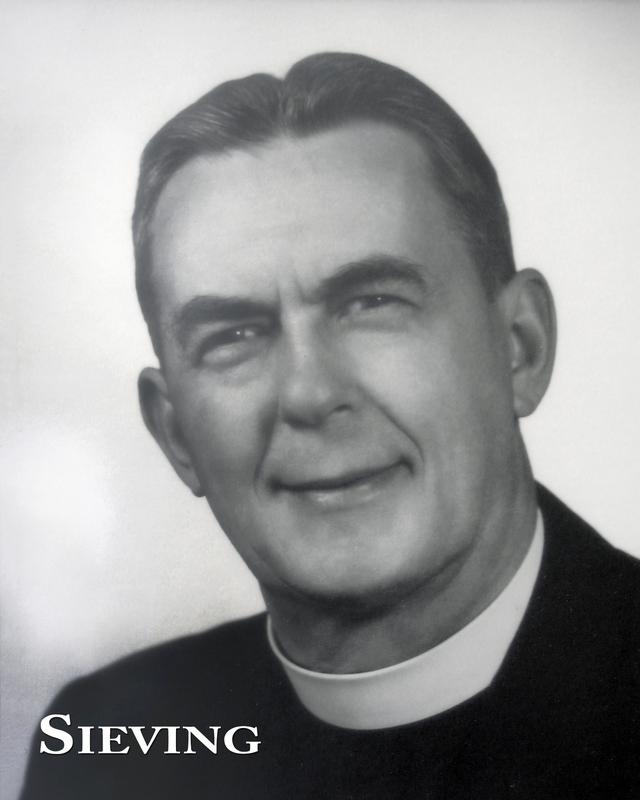 He was installed on October 10, 1976, and served Zion for three years. Rev. 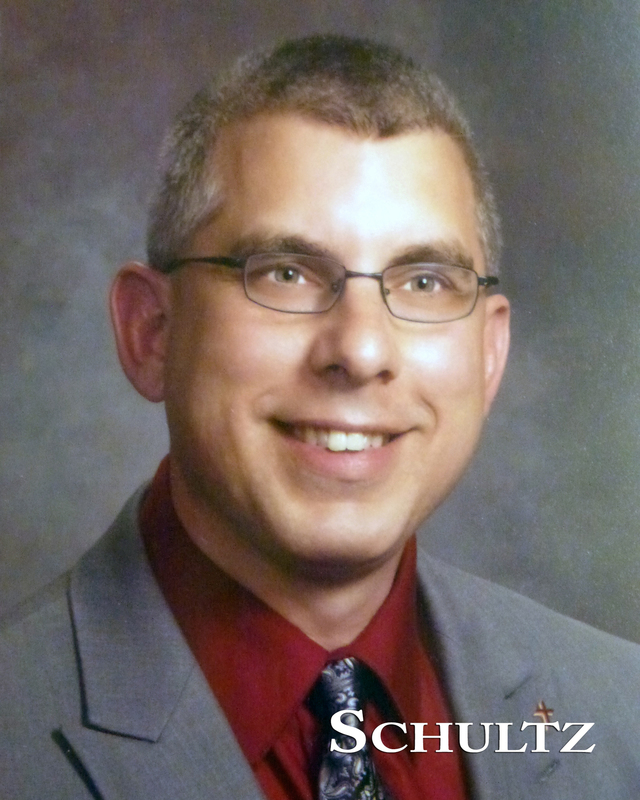 Howard (Padre) Krienke, Beach, North Dakota, was called to replace Rev. Huchthausen. He accepted and was installed on September 16, 1979. For 30 years, 90 year old, Mary Drebenstedt, and her late husband, William, had dreamed of the day when the sound of church bells would be heard from the church tower. They saved the money to make their dream come true. The bells were dedicated at services in July of 1980. The bells ring three times Monday through Saturday and twice on Sunday. They also ring during special event celebrations. The Church Council began discussing expansion of our facilities in the Spring of 1983. Things got serious on April 29, 1986, after the congregation voted in a 1985 Voter’s Meeting to build. The fund raising began in 1987 with an “Open Hearts – Open Doors” theme. The campaign was instituted to raise funds to meet the needs of Zion’s growing congregation. The result was a beautiful building attached to the Educational Building. The 10 additional classrooms included two large rooms on the main floor, one for use as a Chapel and the other for the church council. Below the Chapel and Council Room were classrooms designed for primary aged children. Education addition includes a chapel. After Pastor Karner’s retirement, Zion called Rev. Karl E. Galik from Peace Lutheran in Hurst, Texas, to serve as our Adminstrative Pastor. He was installed on August 22, 1993. 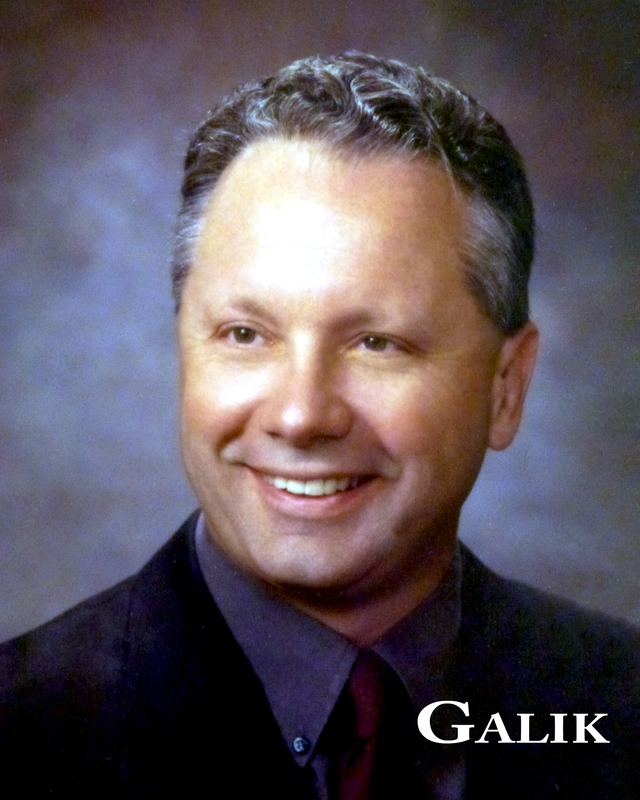 One of the first things that Zion’s membership noted about Pastor Galik was that he did not preach from the pulpit! He stood in front of the altar, moved around and rarely used notes. It took some members time to get used to this new preaching style. However, it was extremely effective among younger people, attracted younger families and helped Zion’s membership grow. The remodeling of the chancel took on a contemporary look and created space for musicians and instruments. He enjoyed speaking to Hopkins Senior High School world religion classes about the Christian faith and is credited with bringing the Zion staff into the computer and technology age. We have benefited greatly from his efforts. In 1996, lighting was applied to the steeple and the cross. Under Pastor Galik’s leadership, three years of research, work, and seeking the Lord’s will regarding ministry at Zion, the “We’re Moving Forward” Campaign was launched. The goal was to reach $750,000 to $1,000,000 in gifts and three-year pledges for Zion’s Dedicated Building Fund. The estimated cost for the project was $1.8 million. The project included a new entry and gathering area, an upgraded sanctuary with added technology, new staff offices on the main floor, an expanded nursery on the lower level, an elevator to assist our elderly and handicapped, and a Christian Childhood Center. The construction began in the Spring of 2000 and the dedication held in 2001. After Pastor Galik left in June of 2002, Zion’s call for a new Administative Pastor took a longer tine than expected. As a result, Padre had a challenging job of holding down two positions. In December of 2002, the Church Council designated Rev. Howard Krienke aa Zion’s temporary Senior Pastor on January 11, 2003. As Senior Pastor, he oversaw the building of our garage and the purchase of the Zion Bus. He served in this position until November 7, 2004, when Rev. Randall Neal assumed the Administrative Pastor’s position. Rev. 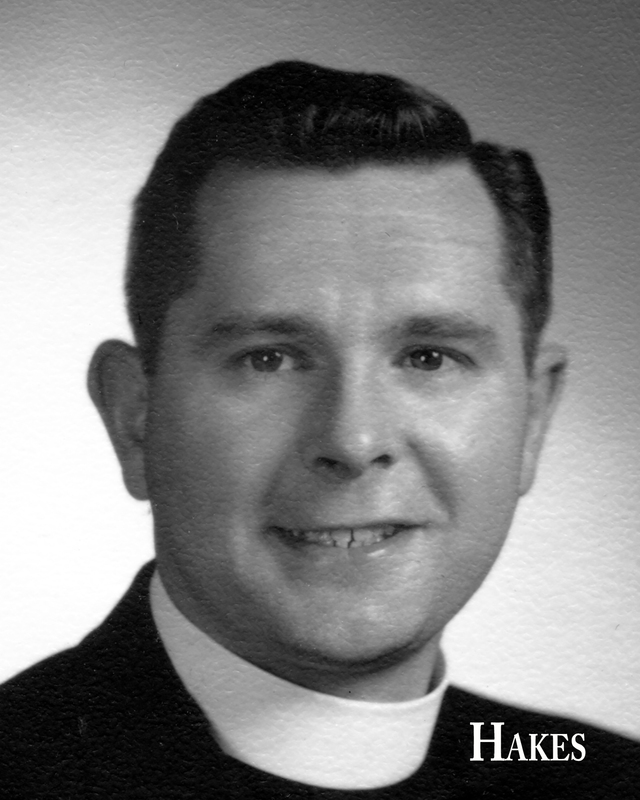 Howard (Padre) Krienke was no stranger to Zion’s membership. He was installed as our Assistant Pastor on September 16, 1979. He proved to be a man of many talents and his accomplishments. He was responsible for introducing the Saturday Evening Services, Polka Fest Services, numerous singles groups, Young Couples Club, and a Newlyweds Group. The highlight of his ministry has been Zion’s Evangelism Program of weekly home visits. 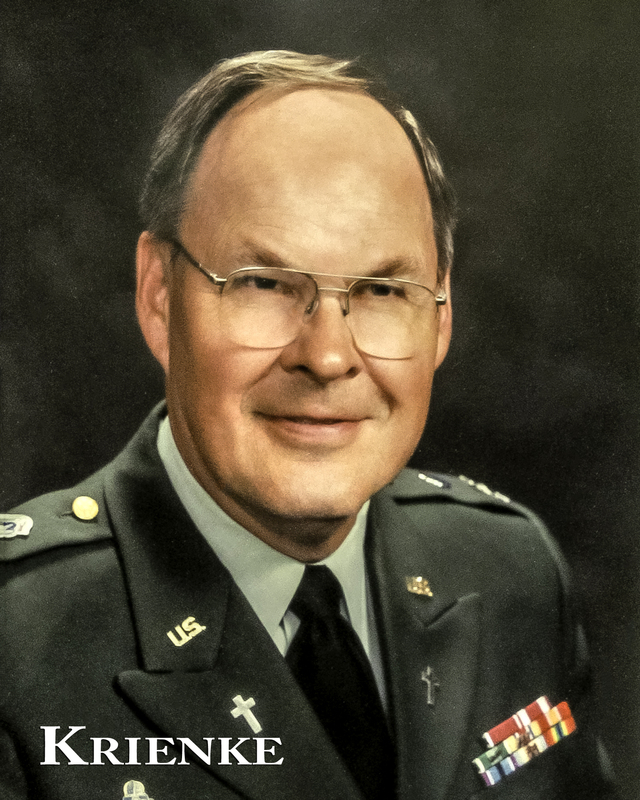 In addition to serving God’s people, Padre served as a Chaplain in the U.S. Army Reserve. He became the 88th U.S. Army Command Chaplain with the responsibility of caring for 10,000 men and women in the five state area. His service as a Chaplain led to introducing Memorial Day Services in the Park. This Outreach Program has been in force for 28 years! He served for 32 years, retiring on June 30, 2001, having attained the rank of Full Colonel. Padre served Zion for 27 years, the longest serving pastor in Zion’s history. He retired August 10, 2008 and has continued on as our Visitation Pastor. Rev. Randall A. Neal, Pastor of Peace Lutheran Church, Antigo, Wisconsin, accepted Zion’s call as our Administrative Pastor and was installed on November 7, 2004. Pastor Neal’s ministry has featured an outreach program with a strong international mission emphasis. In 2007, Zion began sponsoring TIM missionaries; in 2009, our church began to host the Liberian Refuge Church in our chapel and hosting the Kenyan Women’s Ministry. Since 2012, Zion has partnered with Hopkins Hispanic Ministry. Through his sermons and Bible studies, he has a mission of encouraging each member to develop a strong personal relationship with Jesus Christ. The Specific Ministry Pastor program of Concordia Seminary is a 4-year program that prepares men for pastoral ministry in the Lutheran Church – Missouri Synod. In order to be eligible for the SMP program, men must be serving in a ministry of a Lutheran congregation which desires their service as a pastor. Zion was in such a position with the retirement of Pastor Krienke and Zion had a man who longed to be a pastor. 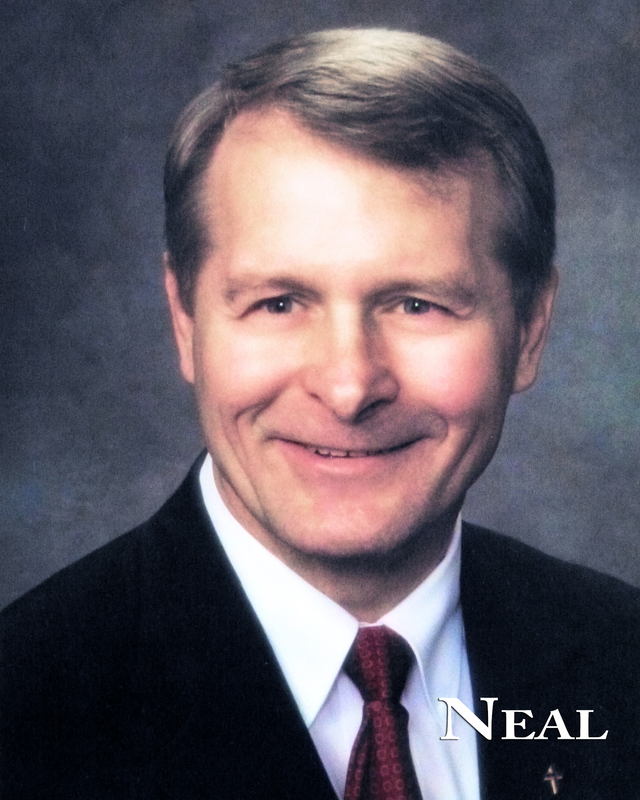 Pastor Neal served as the mentor for Dan Schultz. In the first two years of the program Dan was a vicar serving Zion as he prepared for the pastoral ministry. He was required to take two more years of classes in order to complete the SMP program. The Celebration of the Ordination and installation into the Public Ministry of Daniel Schult took place at Zion on June 8, 2013. 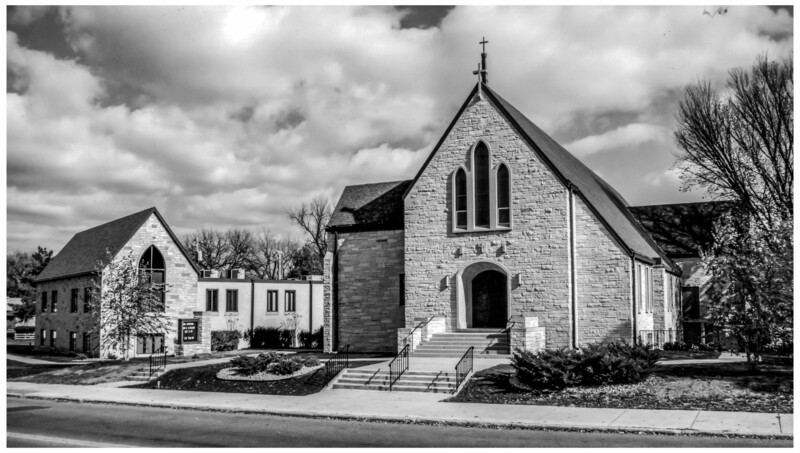 Zion Lutheran Church has always been “mission orientated.” Pastor Paul G. Walther, Zion’s first pastor, laid the foundation when he began to conduct services in St. Louis Park which resulted in the establishment of St. Luke’s Lutheran church. Reading through the ministries of our pastor’s, past and present, you will see how many, and varied, missions Zion has been involved in through their efforts. However, the people of Zion, through organizations like the Quilters and the Braille Center have also been in the forefront in “reaching out” to spread the Word and to assist those in need. In addition, our church has always been one of the leaders in donating monies to support the missionary efforts of the Lutheran Church – Missouri Synod worldwide. In 1968, a group of Zion ladies began “Quilting” for the purpose of helping people in need throughout the world. The ladies produced 91 blankets the first year and distributed them through Lutheran World Relief. In recent years, Zion’s blankets are taken to Bethesda and distributed world-wide through the Orphan Grain Train. In 2013, Zion Quilters made 351 blankets to make a grand total of 10,703 since 1968. Pat Drentlaw was instrumental, with the assistance of Mitzi Erdmann, in the start up of the work center for Lutheran Braille Workers at Zion. This ministry has provided an opportunity of outreach to the world by producing materials providing the message of salvation through faith in Jesus Christ to individuals who are blind or visually impaired. Throughout the years, Zion’s Braille work center has had numerous volunteers from the church and community producing 53,058 books as of the end of 2013. Braille books that the center has produced include: Teenagers Pray, St. John in Greek, St. Matthew in French, St. Matthew Devotional Series, Genesis in English, Jeremiah/Lamentations in Amharic, Korean Bible Lessons, and A Shepherd Looks at Psalm 23 in English. Due to changes and demand, Zion’s work center, under Donna Tupa’s leadership, started the process of transitioning from a Braille production facility to large print production in 2014. Under Pastor Galik’s leadership, Zion opened an Early Childhood Center (ZECC). ZEEC is a year round program in session Monday through Friday from 7:00 AM to 6:00 PM. Tuition is charged weekly and includes breakfast, catered lunch, afternoon snack, educational supplies and music. Today, the Christian center has 44 children benefiting from a Christian curriculum for a foundation of faith and values. Mission India was a “Hearts for Jesus” project of the Minnesota South District – Missouri Synod dedicated to touch the lives of children and adults with God’s Holy Word. India’s 380 million children under the age of 18 were targeted. India’s children make up one of the largest “people groups” in the world. To reach the children, the goal of the mission was to establish Children’s Bible Clubs in communities where resources were very limited. The Gospel of Jesus Christ would be shared with the children through these Bible classes. To raise monies for this mission, Zion’s members were given $10.00 to be used to produce items for sale at a Street Market event. The profits earned from the sale were sent to India as a mission gift. Zion became involved in the Liberian Mission through Irene Gust, a volunteer at Betheda Thrift Store. She met Rev. John Manley, a pastor from Liberia who was looking for clothing to send back to his country. He told Irene of the desperate need for clothing, shoes, rice, and many other things needed by the people in his country. Irene introduced him to Brian and Janet Olson, managers of the Thrift Store. This led to donations of free clothing. Irene later introduced Pastor Manley to Pastor Krienke. The Manley’s then spoke to our congregation of the hardships of the Liberians. Hearing their appeal, the people of Zion and the wonderful staff at Bethesda gathered Bibles, clothing, bicycles, bags of rice, several automobiles and pick-up trucks. We shipped 2 ½ semi-trailer loads of donated goods to Liberia over the next five years. In 2004, Padre and Harold Gust visited Liberia to represent Zion and Bethesda in our mission. In preparation for Zion’s Silver Anniversary, The Ladies Aid completely redecorated the church. In a personal anniversary project, Pastor Clausen secured some $500.00 for organ chimes, new lighting fixtures, candelabra, parchments and rug. 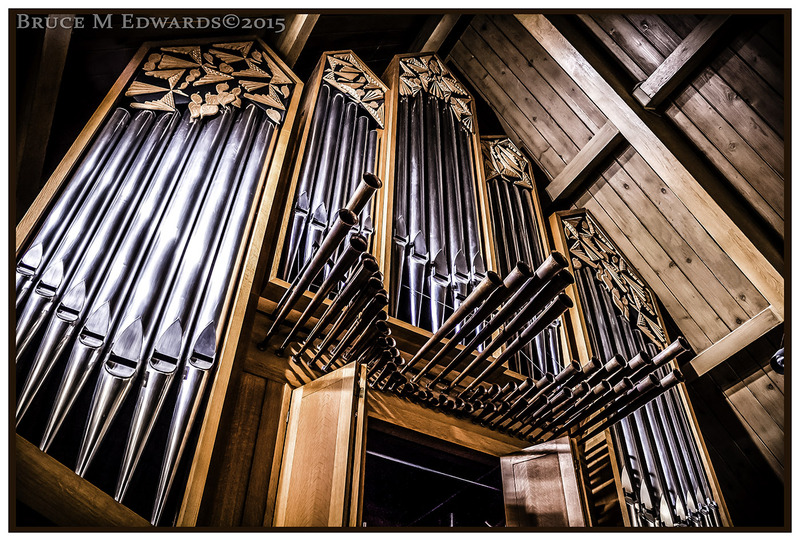 The pipe organ was enlarged to handle the demands of increased church attendance. The anniversary celebration including a morning service with Pastor E. G. Nachtsheim preaching and an evening service with Pastor Fred Lindemann preaching. A buffet dinner was held after the morning service. October was set aside as Ladies’ Month and November as Young People’s Month. A congregational banquet concluded the celebration. 40th Anniversary “Forty Years of Grace” – October 9, 1955. Zion’s 40th Anniversary coincided with the fifth anniversary of the new church. Three morning services were held with Rev. 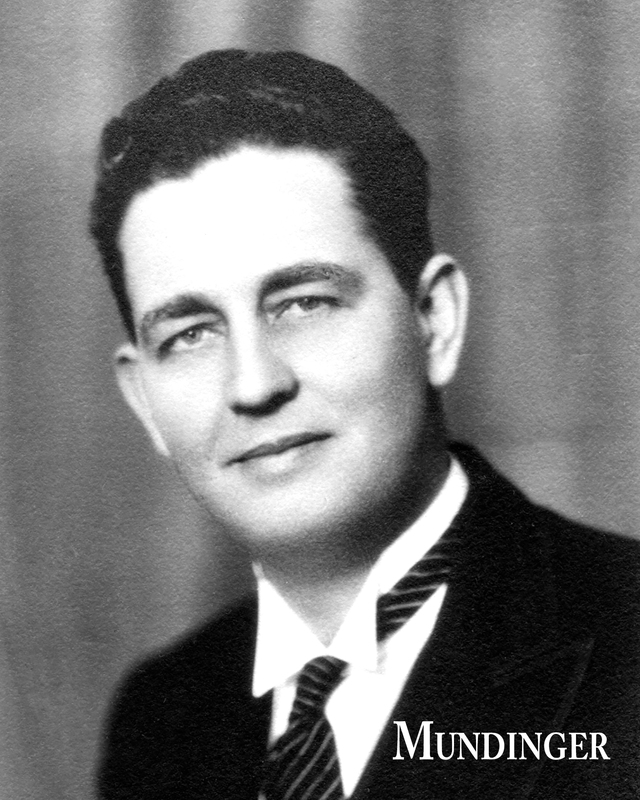 Walter P. Clausen, who served as Zion’s pastor from 1936-1946, as the speaker. Anniversary Vespers were held at 4:00 p.m, with Zion’s first pastor, Rev. Paul Walther, preaching. 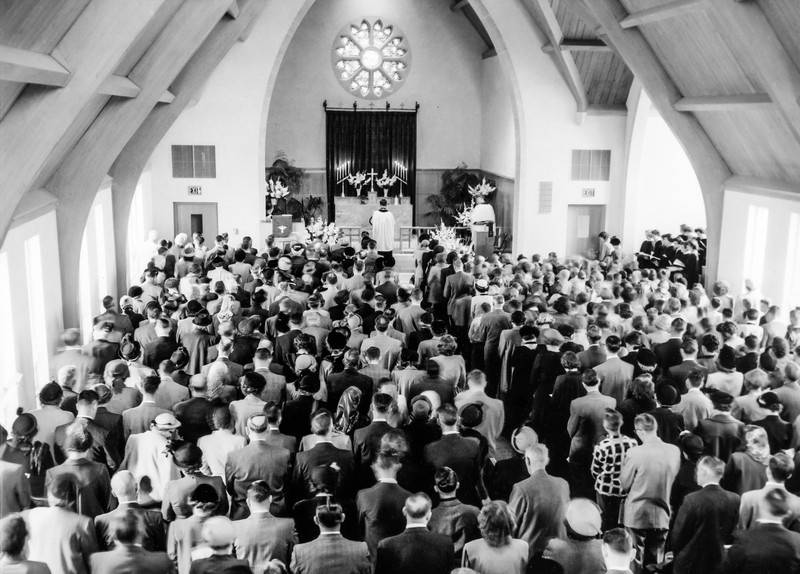 Four services were held on Sunday, October 3, 1965 to celebrate 50 Years of Blessing. There were three morning services with Pastor Henry W. Brill, preaching. and Rev. H. E. Sieving and Walter P. Clausen as Officiants. Rev. Walter P. Clausen preached at the 2:00 service with Rev. H.E. Sieving and Rev. W. A. Busse as the Officiants. 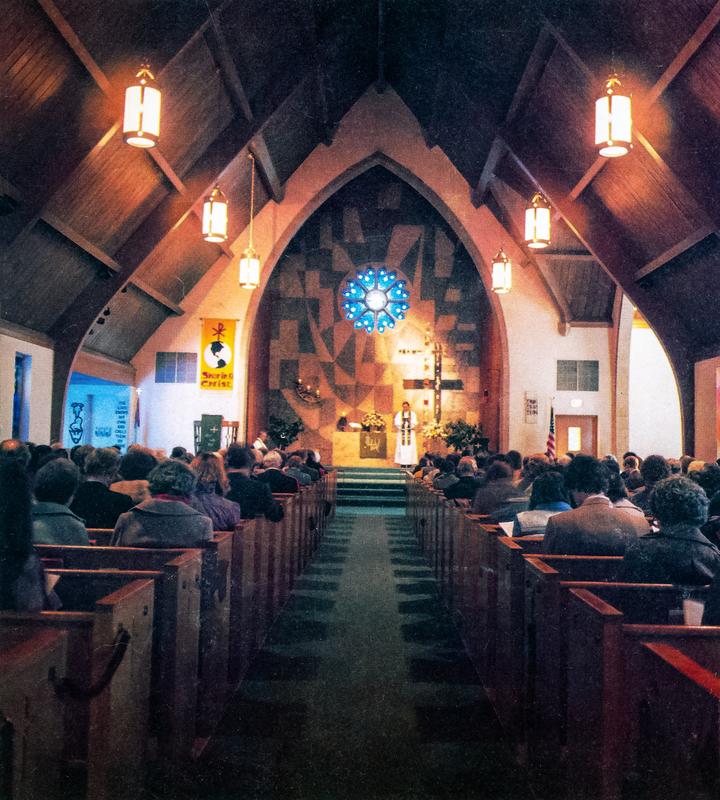 An Open House was held after the 2:00 service, with films of the church from 1940-1965 shown in the Fireside Room and a reception held for confirm ands. A 5 p.m. Potluck was held at the Hopkins Senior High School with a Pageant depicting the early history held in the Little Theater. Zion celebrated its 75th Anniversary with a series of events held throughout the year and culminating with a “Homecoming Celebration” on September 28 and 29, 1990. The special events included “A Celebration of Servanthood Lenten Hymn Festival” performed by the Choir, Fireside Singers, Choristers and the Brass and Wind Ensemble with Stephen Hamilton on the Organ; a “Lord of the Mountain” musical about forgiveness and love presented by congregational members and a performance of Handel’s Messiah and Vivaldi’s Gloria y the Sanctuary Choir, Fireside Singers, the Brass and Wind Ensemble, and the Minnetonka Orchestra. The “Homecoming” concluded at the Eisenhower Elementary School with a banquet and program on September 29, 1990 and church services on September 30th. Zion celebrated its 80th Anniversary “Based on the Past – Focused on the Future” with Andy Melendex, former Minister of Youth and Education as our guest speaker and Pastor Galik’s message “Looking to the Future” followed by a catered dinner. The first of the Anniversary Celebrations took place on Sunday, January 23, 2005. The guest speakers for the 11:00 service were Rev. Merrill Kempert and Roy Karner. Others participating were Pastor Randall Neal, Pastor Howard Krienke and Andy Melendez, former Minister of Youth and Education. The service was followed by a dinner in the Fellowship Hall. The 1:00 p.m. service was highlighted with a “Stroll Down Memory Lane” and a 90th Anniversary Video. A special 90th Anniversary Sunday took place on May 22, 2005. Three Historic Services were held. An Evening Gala at the Sheraton Minneapolis West included dinner, live entertainment and a Historic Program. Events for the Centennial Celebration will be held throughout 2015. A few of the special programs include a January 24th “kick-off” to the Centennial Celebration with a commissioned piece of original music written for Zion by Bob Sieving, a son of Rev. Herman and Ethel Sieving, that will be accompanied by brass instruments, choir and handbells. In March, we will host a concert by the 14-piece “Camerata Brass” and a concert by the Minnetonka Music Association . 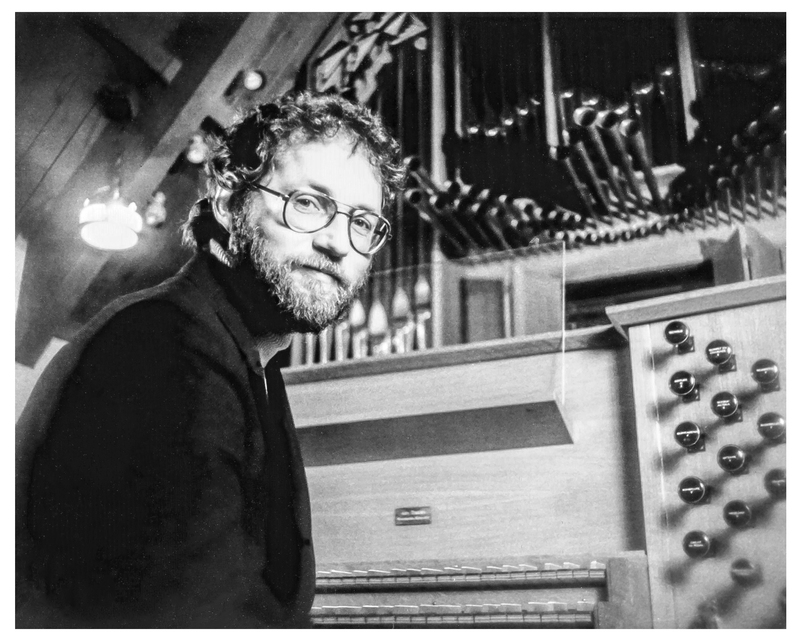 In May, we will host a Dr. David Cherwien “Hymn Fest” and an All Saints Day Organ Concert with Zion’s Brice Petersen as the featured Organist. A special Military Service will be held in November to honor all of the men and women who have served our country..
Kent Engel , Andy Melendez and Vicki Peterson are remembered for their faithful service to the Zion membership – Kent as organist, Andy as our first Minister of Youth and Education, and Vicki as our Director of Children’s Ministries. We also remember our charter members whose love for the Lord led to the establishment of our congregation. He kept growing as a musician, attaining a MFA degree from the University of Minnesota in 1974, and later studying in a doctoral program at the Eastman School of Music, Rochester, NY, in 1981-1982 with Dr. Russell Saunders. Zion was the benefactor of Kent’s growth as a musician. The beauty and joy that he brought to his music gave us the feeling that we were attending a concert each time we heard him play. Kent drown in a swimming accident March 27, 1985, while vacationing in Cancun, Mexico. To meet the needs of our young people, Andy Melendez, Director of Christian Education in Jefferson City, Missouri, was called to be Zion’s Minister of Youth and Education. Andy was installed on May 11, 1980. An important part of Andy’s ministry was separating the youth groups from the direction of he Board of Education to a Board of Youth. The Board of Education was responsible for the Sunday School, Bible Classes, and Vacation Bible School. A board of Youth was formed and arranged activities for thee youth groups divided by age. The CLUB – “Christ Let’s Us Belong” for 3rd to 6th grade students; KICKS – “Kids in Christ Keeping Straight” for 7th and 8th graders and ZYMIC – Zion Youth Moving in Christ” for 9th to 12th grade students. Andy expanded Zion‘s Outreach program by accepting the responsibility for mentoring Rev. 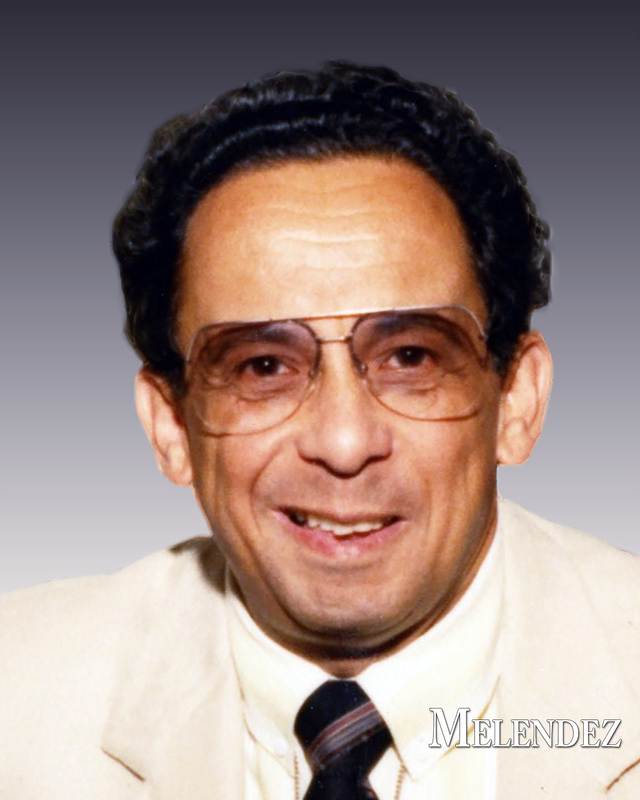 Charles Li,, Pastor of the Evangelical Lutheran Church of Taiwan, who was sent to The U.S. in October of 1981, to observe and receive training in Youth Ministry. Andy was instrumental in bringing the Stephen Ministry program to Zion. He sought volunteers who had a passion for bringing Christ’s love and care to people during a time of need. He trained the volunteers to provide one on one care to people experiencing a difficult time in life, such as grief, divorce, job loss, chronic or terminal illness, relocation, or separation due to military deployment. In July of 1991, after 11 faithful years serving Zion’s youth, Andy accepted a call to be a school teacher at Jehovah Lutheran Church and the DCE at El Buen Lutheran Church in Chicago. 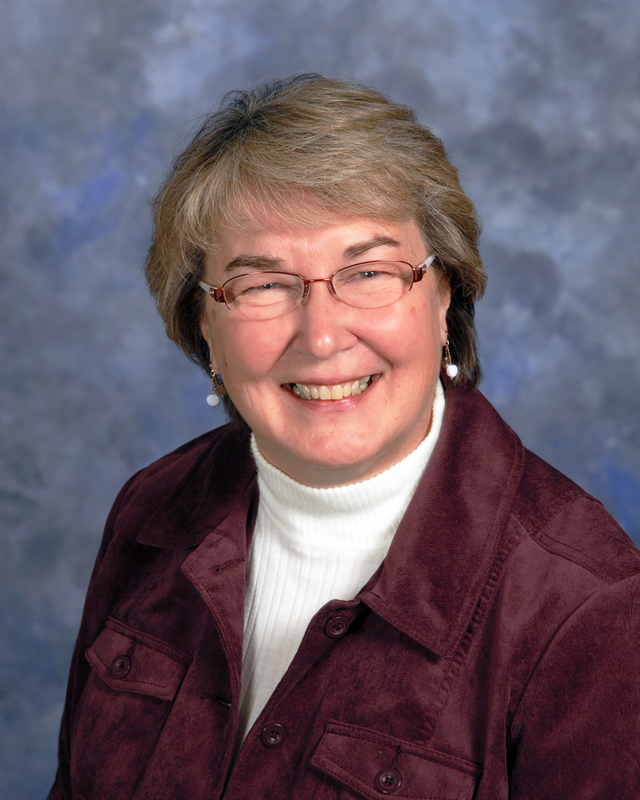 Vicki Peterson’s 17 years as long-term Director of Children’s Ministry was characterized by her love for the Lord. This love was Evident during her children’s talks as she constantly encouraged Zion’s children to grow in their love and relationship with Jesus. Her ministry encompassed the Sunday School, Vacation Bible School, Wednesday evening classes and other Christ centered ministries. Vicki started the 3 year old Sunday School class and presented a My Bible Class for second graders which emphasized what the Bible is and how to use it. And so it was, that the early beginnings of a church that met in the homes of two families, the homes of Henry Narr and Henry Sullwold, and was founded January 24, 1915 by charter members Louis Abraham, Ernest Weisskirch, Henry Sullwold, Henry Narr, Henry Tetzlaff, William Graper, and Louis Tomschin finds itself celebrating it’s 100th anniversary in the year of our Lord 2015. The names of Leo Block, Julius Lau, and William Drebbenstedt were added later as charter members. Many of the relatives of these men live in our community and some still attend Zion. We, the Zion of today, are grateful for the solid foundation of faith laid by these forefathers who set in motion a long history focused on Jesus Christ, the Same, Yesterday, Today, and Forever. As we bask in God’s goodness in this anniversary year may we continue in the rich tradition of preaching the truth of God’s love for all people through Jesus Christ!